From February 2017, East London Dance will embark on an 18-month project with HeadStart Newham, funded by the Big Lottery for mental health prevention of young people aged 10-16. The programme will deliver a creative, diverse and high quality programme of dance participation and performance for young Newham residents with emerging mental health difficulties. 50% of all lifetime mental disorders begin by age 14, and evidence of the benefits of creative and sporting activities in promoting mental health resilience in 10-16 year olds who are at risk has been well documented. Newham has the second highest estimated prevalence of adolescent mental disorder in London. In light of these findings, HeadStart Newham has commissioned East London Dance to develop and lead a new preventative dance programme in partnership with London Youth and Sadler’s Wells, to promote well-being and mental health resilience for local young people. The programme will offer access dance classes at beginner, intermediate and advanced levels, weekly classes, week-long projects and the opportunity to join the East London Youth Dance Company. 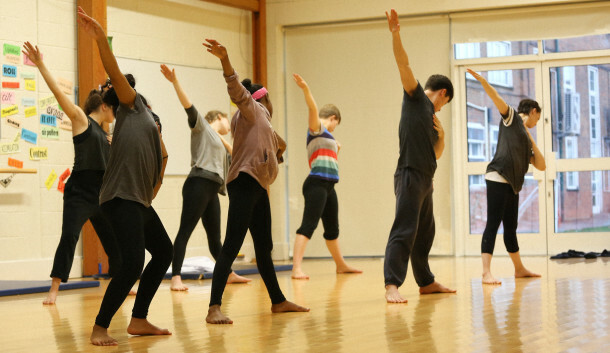 The programme will reach at least 150 local young people over the next 18 months, culminating in a dance platform event at Stratford Circus Arts Centre. The project commissioned by HeadStart Newham and funded by the Big Lottery, will be run by East London Dance in partnership with London Youth and Sadler’s Wells.